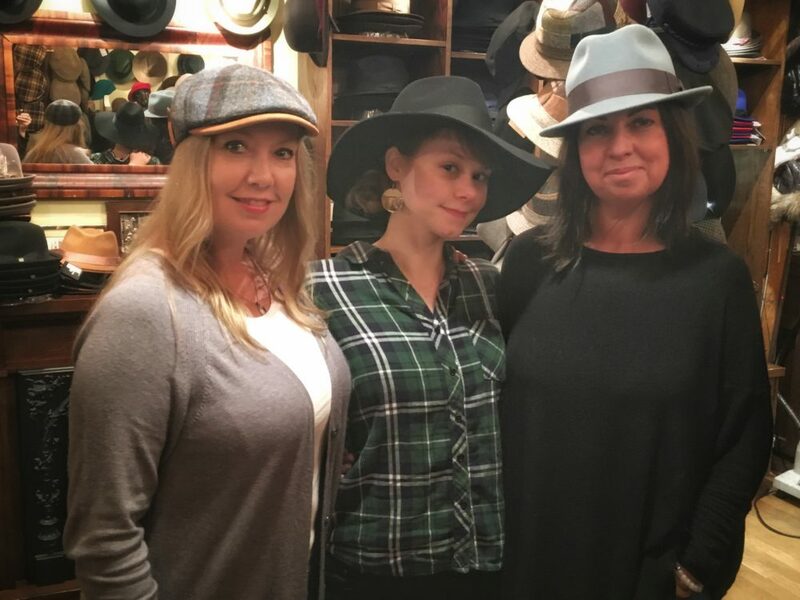 In honour of National Hat Day, I took a field trip to Granville Island Hat Shop, one of Vancouver’s most beloved and iconic stores where I spoke with owners Andrea Rose-Innes (aka the South African one) and Deb Hilton-Wright (aka the English one) about everything hats. Conveniently located inside the Net Loft building, these ladies see loyal locals return again and again as well as tourists from all over the globe. Whether you’re after cold weather woollies or straw hats for summertime, they’ve got you covered. If you’re heading to The Deighton Cup, be sure to swing by for a showstopping chapeau or fabulous fascinator. Wearing many hats: The incredibly knowledgeable, helpful and witty staff of Granville Island Hat Shop (L-R) Andrea, Laura and Deb. noun The design and manufacture of hats. A millinery shop is a store that sells those goods. A milliner or hatter designs, makes, trims, or sells hats. Granville Island Hat Shop is a hat lover’s Mecca. There are numerous reasons a person might want to get on a Gatsby, slip on a Stetson or pull on a pork pie. 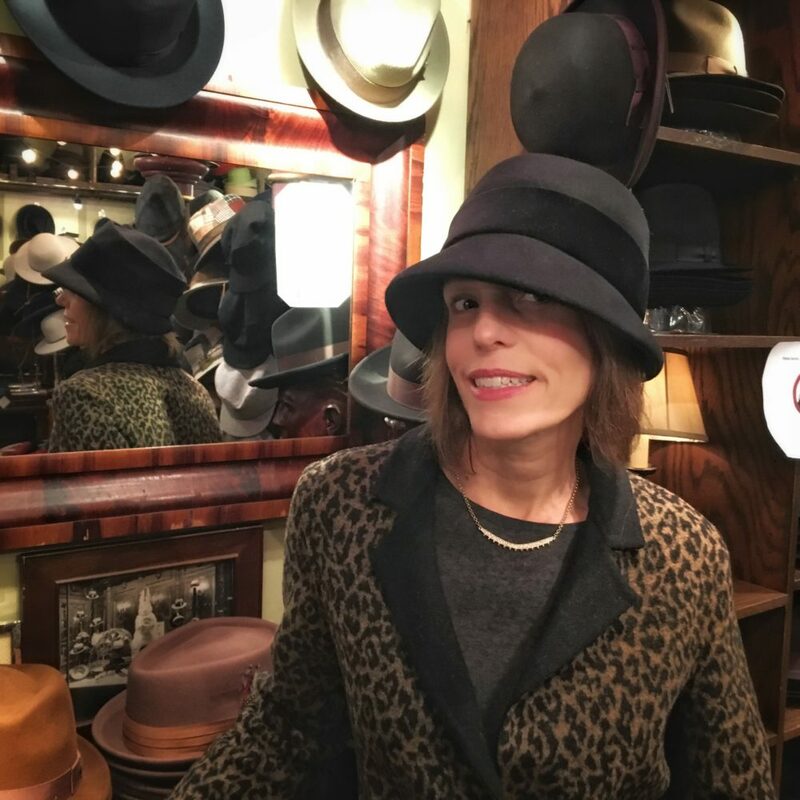 Shop owner Andrea Rose-Innes suggests you decide first what you will be using your hat for. Warmth? Style? Protection from the elements? Are you finishing an outfit or concealing a bad hair day? Do you want to stand out or blend in? All are valid reasons, and the answers will help with your process of elimination. 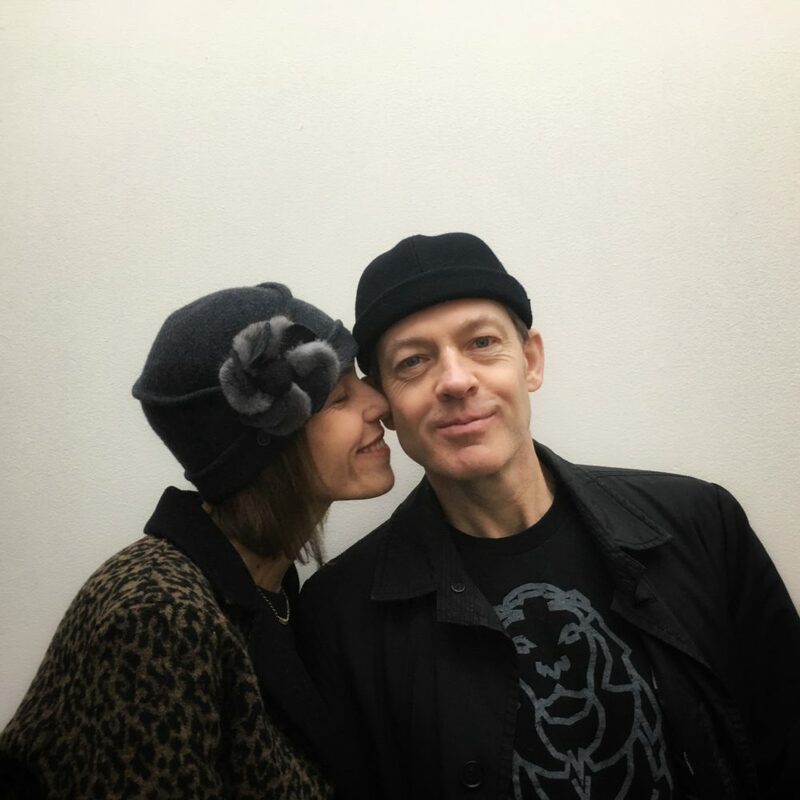 Think stylish headwear doesn’t look good on you? 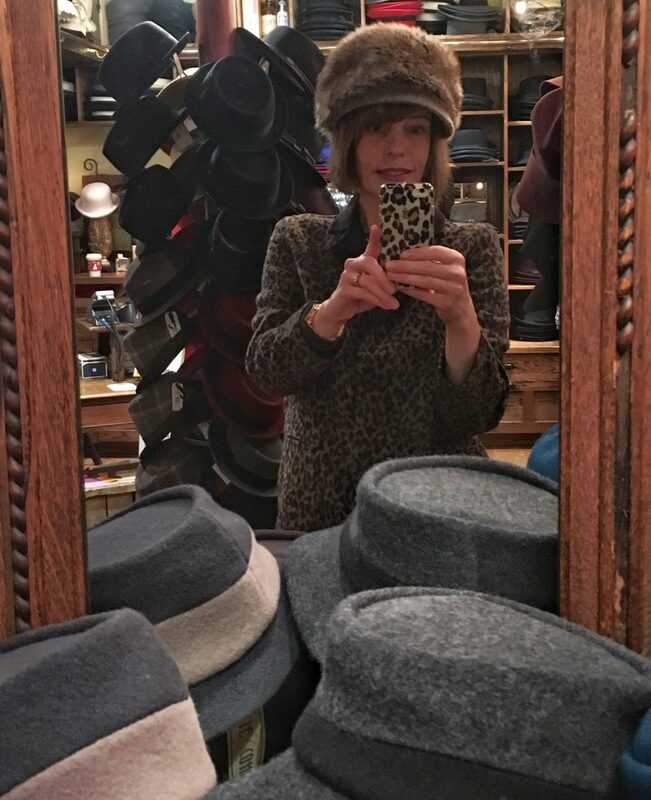 Shop co-owner Deb Hilton-Wright thinks you are talking through your hat. Many people want to be able to wear one but are convinced hats don’t look good on them and that’s simply rubbish. The <ahem> hat trick is to find one that fits your head well, is in proportion to your stature and shoulder width, complements your face shape, suits your hairstyle, and is in harmony with your colouring. Once you find the perfect one, don’t be afraid to tilt it, turn it or flip the brim. Bring your personality, walk tall and OWN IT! I’m feeling fantastic in this stingy brim fedora. It might not be raspberry, but it IS a beret. 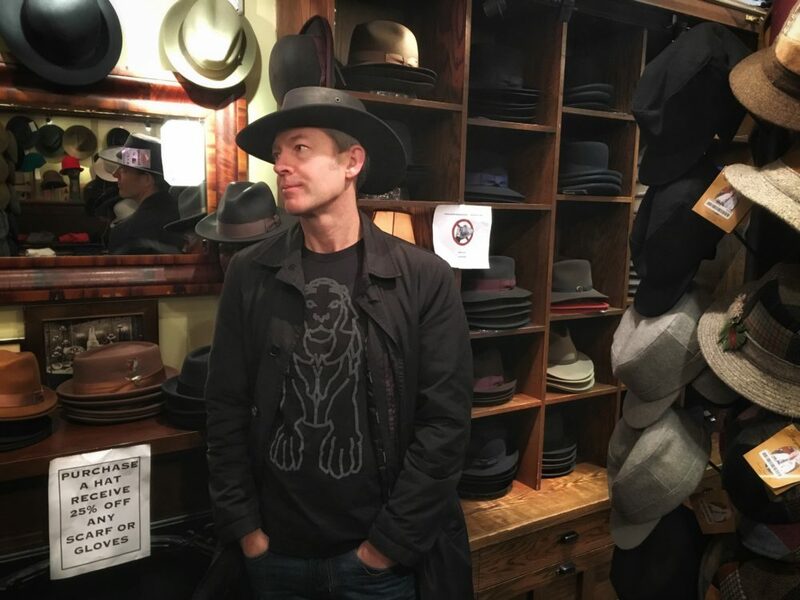 Rose-Innes credits the recent resurgence of hat popularity to several acclaimed television shows. Downton Abbey, Breaking Bad, Mad Men, and Peaky Blinders to name a few. 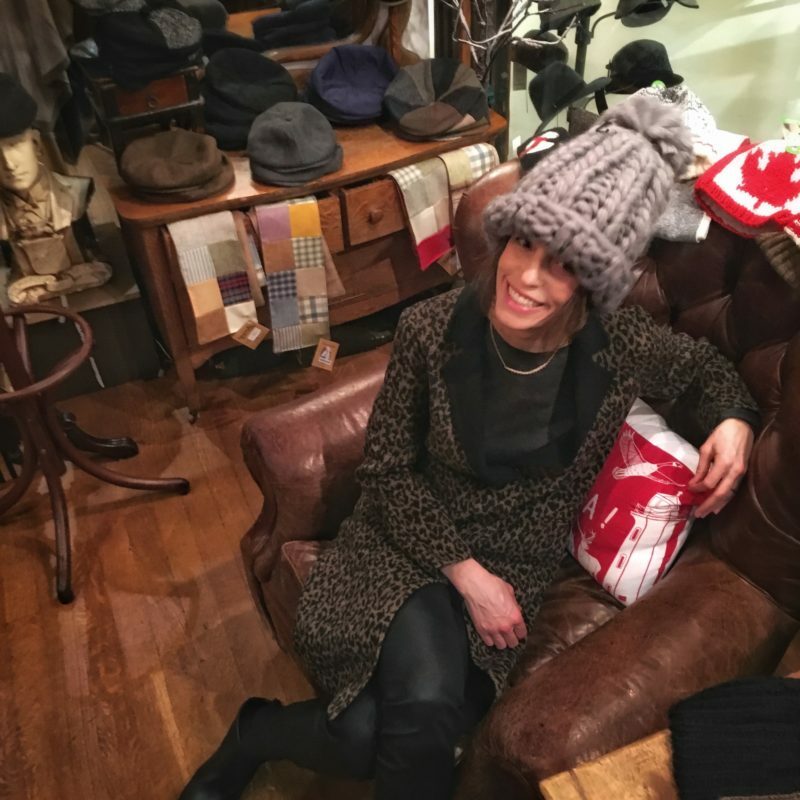 The team at Granville Island Hat Shop prides themselves on their millinery knowledge and customer service. Their stock is extensive, but the staff can narrow your choices down based on your preferences and what they know will look great so you don’t become overwhelmed. 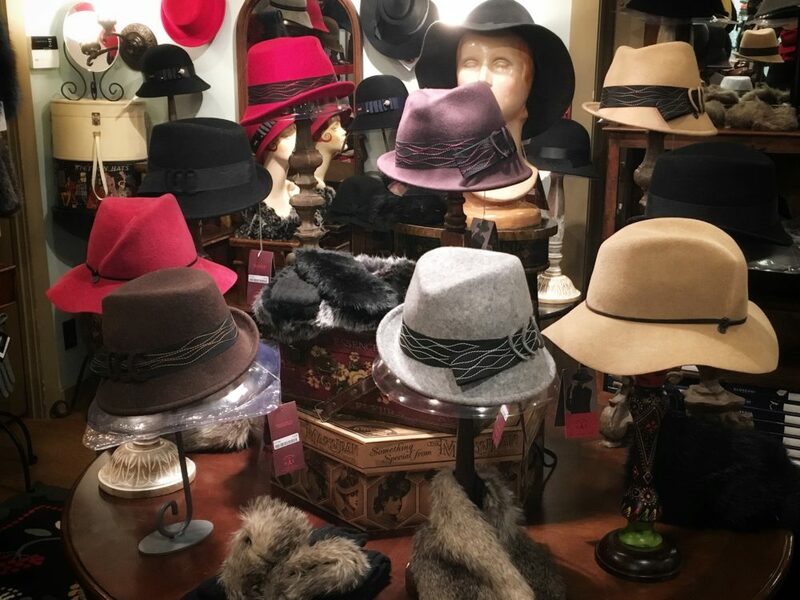 Here you’ll find a vast selection of Canadian brands including Lillie and Cohoe, Magill, Parkhurst Crown Cap, Lilliput, Bronsino, Mitchie’s, Canadian Hat, Tilley, Bula, and Alan White Millinery as well as caps imported from as far away as Australia and Italy. They also carry a wide range of sizes to fit a massive melon or the puniest peanut head. Whether you prefer modern or classic, glamourous or whimsical styles, hipsters and traditionalists alike will find hats here to go mad for. While wearing one type of hat can bring a sense of occasion to your outfit, another sort can be plain utilitarian. Thankfully, many manufacturers are creating stylish and sensible headwear, so you don’t have to choose between fashion and function. Water repellant and crushable fabrics are becoming more common which makes them perfect for travel. Greek fisherman caps, berets in a variety of fabrics, cloches, fedoras and toques are all currently trending. Granville Island Hat Shop has a sweet deal on right now. While supplies last, get 25% off any scarf or pair of gloves with the purchase of a hat. If you already own a derby, duckbill, or driver but it’s uncomfortably small, bring it in for complementary stretching. All they ask is that you buy a coffee for a homeless person. Looking for the perfect Panama? Head to Granville Island Hat Shop. Need help with the rest of your wardrobe? Contact The Joy of Style. We’ll help you curate a closet you love…and THAT’S a promise you can hang your hat on. I’m feeling uber Canadian in this gigantic toque. How’s this for a statement, eh? We’re social. Follow us on Facebook, Twitter, Instagram and Pinterest. I love hats and am one of the few that can pull it off in my family. My favourite is the fedora. 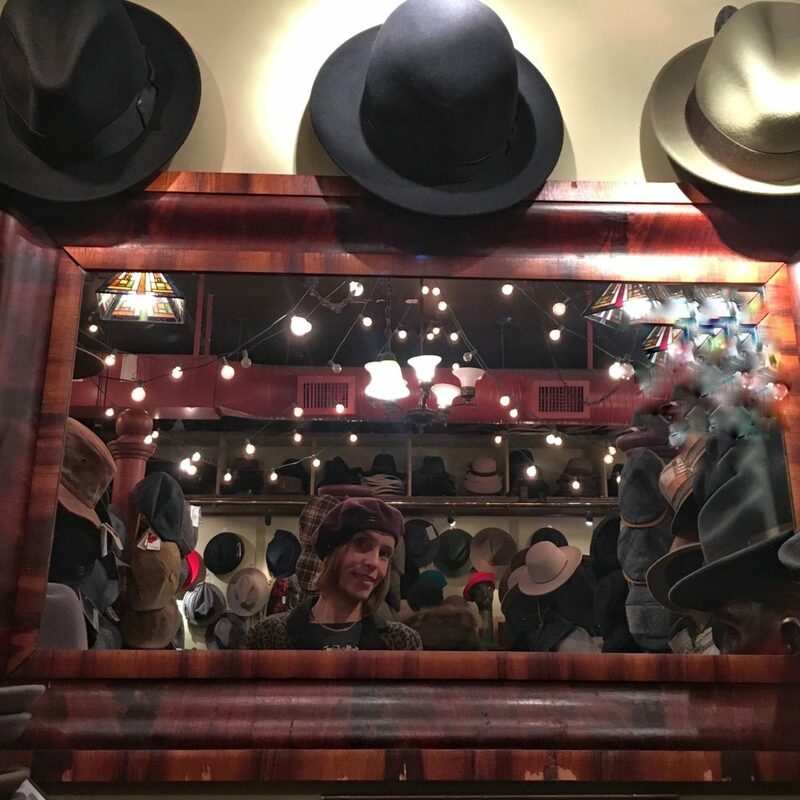 I love that you can be like a different person in each hat! Awesome post. Thanks, Amanda. The fedora is one of my faves too. It’s true you can be like a different person in each hat. I like to have one for all my moods. Aren’t they awesome? Such a fantastic selection.